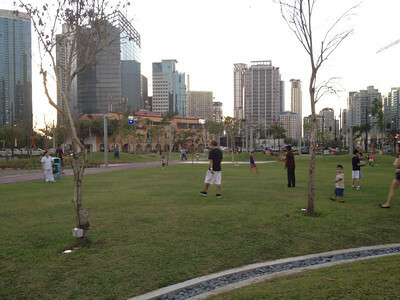 There is a new park at the 28th street at the Fort and it's definitely something adult and child alike has to check out. 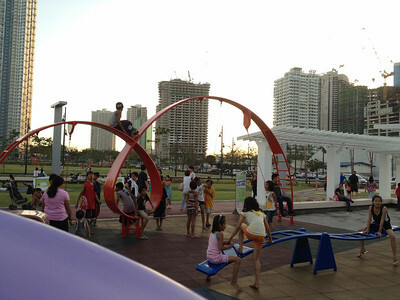 Areas at Terra 28th Park were designated for different kinds of play, some of which were popular games from childhoods of yesteryears. 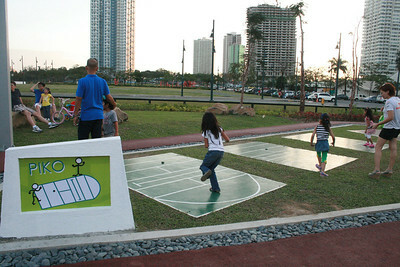 Think piko (hopscotch) and patintero. They even provided an area for luksong-baka (rough translation: jump over a cow). There is green grass everywhere (water pumps must be keeping all this greenery fresh day in and out) offering padding for children falling on their knees. And fall they would (happily, I might add) as they run around the area that simply screams freedom and bliss. Areas that aren't green with grass have some sort of padding, so again, kids are welcome to keep falling down (or rolling around) because the playground is protected enough. 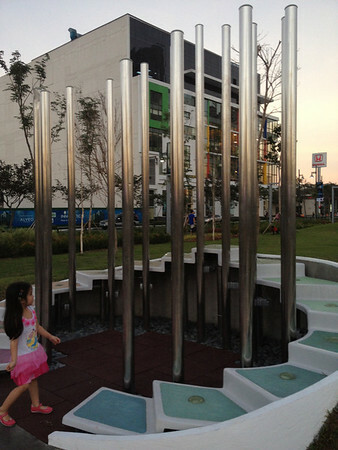 Terra 28th Park is well-lit at night, so you can even avoid the heat of the sun altogether. 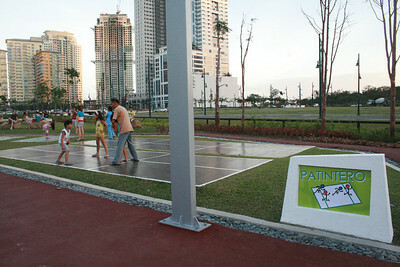 And if it rains, a huge Active Fun is just across the park. I think it would even make for a great venue for photoshoots. 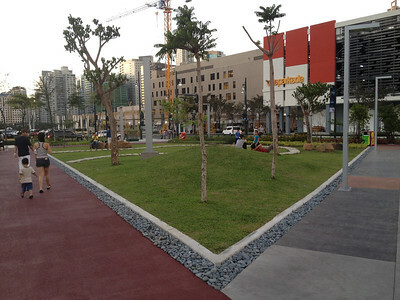 If you also walk a block or so away to Bonifacio High Street, you can get to the rest at the new fountain there while enjoying a muffin or two.